Keep up to date with industry news and what World Power has been up to. Attendance from all ranges of Power Generation and Power Protection fields was healthy with good information provided to those at the presentation. A broad range from Consultants, Technicians and End Users all visited to see and have hands on experience with the new platform. 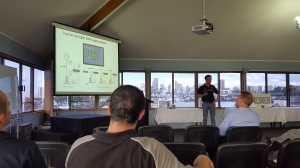 The launch coincided with the Easygen 3500 LS5 training and later the Easygen 3200 training at the NZ marine headquarters. World Power were requested to provide controls to the Emergency switchboards that supply the entire site. By Using Woodward Easygen to provide a paralleling generator solution and Woodward LS5 to sequence the outgoing load; the essential services can be supplied with power after the mains has been lost within 5 seconds. Within 25 seconds the entire site has regained power due to the usage of a priority system in the LS5s. Due to the construction of the Sky City International Convention centre, Sky City required a new site for its Emergency power station. 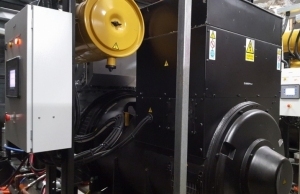 The new Generators 3 X 1.4 MVA diesels are to be controlled by Woodward Easygen 3500 to allow them to interface with the new 11000V incomer controls Woodward LS5. 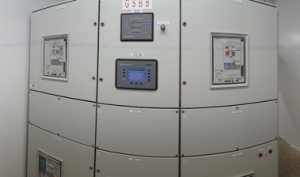 World Power provided the Woodward controls and the commissioning support for these controllers. The Easygens are capable of Run Up Synchronization where all generators start in parallel at reduced voltage and ramp their voltage up when the time is right. By this method the entire site can have full site standby power of 4.2 MW within 20 seconds. Using the LS5 controllers, returning to mains can be achieved over the internal network at the click of a mouse removing the need for staff to be in the High Voltage room during this time. -Main engine data gathering and distribution – using Murphy range of Analogue to CAN J1939 converters and digital displays the vessel wide information can be relayed to all screens and meters providing accurate and correct data to the vessel crew. 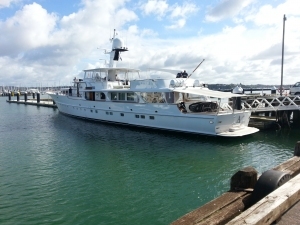 Fuel tank monitoring with installed ITIM systems tanks level senders and ITIM systems fuel level gauges, the crew are aware of the vessels fuel levels at all times. Due to the aging ships monitoring and alarm system becoming unreliable MY Suri requested World Power to source and replace for a new BV Approved system. World Power used the Stein Sohn Vista alarm system from Interschalt systems AG. Initially installed to replace the exisiting digital (binary) alarms further expansion has been requested to provide interface from all engines and tank readings. The data is presented both as a basic text display throughout the boat in several cabins and wheel house and also to an engine control room touchscreen with class rules also requiring printer paper alarm data. This provides for Unmannned Engine Space allowing engineers to remain On Duty from anywhere on the vessel. 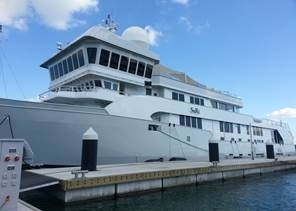 World Power has provided support for Stein Sohn around New Zealand and the South Pacific on many commercial vessels using their alarm and control systems.